Chandler Heating, Cooling & Refrigeration is proud to serve the Buckeye Lake community! About Buckeye Lake, OH - Happy to be your hometown Heating & Air Conditioning Contractor! The Village of Buckeye Lake is located in Licking County, Ohio, approximately thirty miles east of the capital city of Columbus. Located within the U. S. humid continental and humid subtropical climate zones, the region is graced with beautiful seasonal weather that produces hot humid summers and cold dry winters, with light to moderate snowfall during the coldest months of the year. 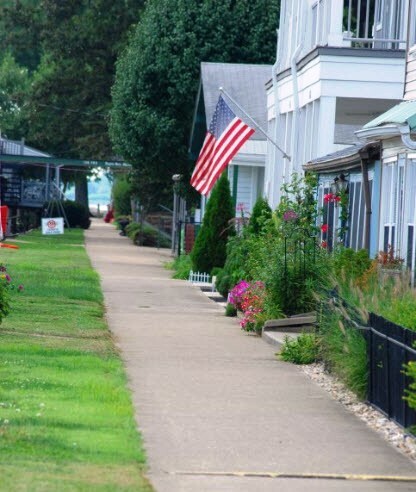 Situated along the northern shore of Buckeye Lake, the Village boasts an abundance of recreational opportunities for the enjoyment of residents and visitors alike. Buckeye Lake State Park is located just four miles southwest of the Village and is Ohio’s oldest state park. Park amenities during the summer include swimming, picnicking, fishing, boating, camping, hiking, and all manner of water sports, while favorites for the winter months include ice-skating, ice fishing, ice boating, and snowmobiling. Local attractions include the Hebron Fish Hatchery, a favorite among nature lovers and bird watchers, and Dawes Arboretum, a premier botanical garden featuring 1800-acres of woodlands, wetlands, meadows, and swamps that house numerous individual gardens, natural areas, hiking trails, and a vast collection of plants, flowering trees, and shrubs. Excellent schools, friendly citizens, a clean safe environment, and stable economy are just a few of the reasons more than 3,000 citizens are proud to call the Village of Buckeye Lake home!